The Zone 4 drainage area has a total of about 225,000 acres divided between several unconnected zones. 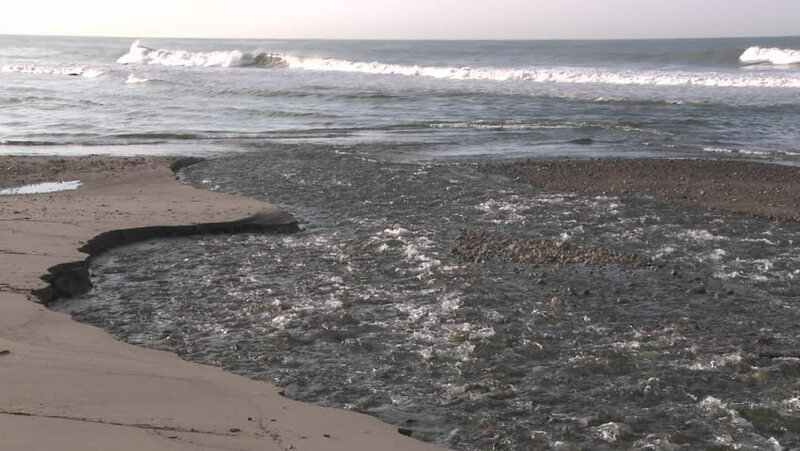 The southeast area includes 61,000 acres of the coastal drainages of the Malibu area, including Malibu Canyon, Lake Sherwood, Potrero Creek, and Westlake which will not be covered on this page (see Calleguas Creek and Coastal Creeks pages for more information). 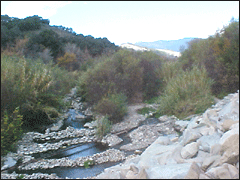 The northwest portion of Zone 4 is primarily the watershed of the Cuyama River (about 150,000 acres within Ventura County). 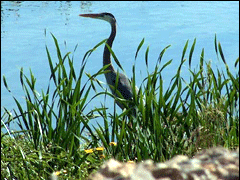 Another 14,000 acres of Zone 4 consist of a relatively undeveloped northeast corner of the Watershed Protection District (portions of Lockwood Valley) that drain into Kern County to the northeast. 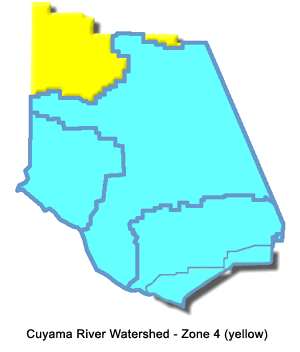 The yellow northeast and northwest portions of Zone 4 (shown on attached map inset) generally only require maintenance activities that protect existing agricultural fields from bank erosion (VCFCD, 1967). The Drainage Zone 4 boundaries incorporate four of the five of Supervisorial Districts for Ventura County. Most of the northeast and northwest portions of Zone 4 are in Supervisor District 3 with a small portion of the northwest area in Supervisor District 1. This page will focus on the largest portion of the Zone 4 drainage area that covers the far Northwest corner of Ventura County. 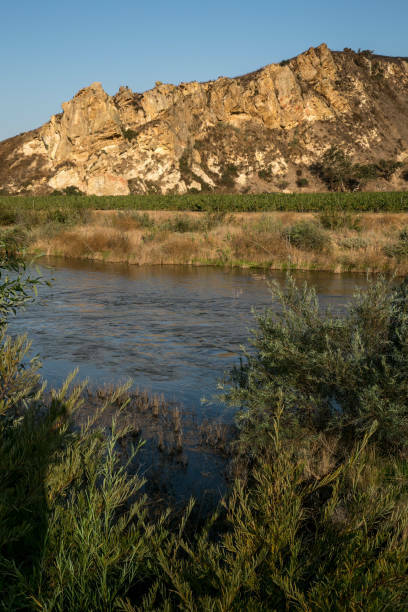 An area known by the local stream name, “Cuyama River” (also includes the Quatal Canyon drainage and lands called the Cuyama Badlands). The climates of the Zone 4 watersheds are characterized by long, dry periods and a relatively short wet period during winter of most years. Frosts can be common in these inland valley and mountain areas. Precipitation occurring during the winter season (extending from November through March) contributes approximately 85 percent of the annual rainfall total in the Cuyama River portion of Ventura County. Mean annual precipitation averages about 8.2 inches (Ventura County Hydrology Rain Gauge #240-Apache Canyon from 1959-1989) and (Santa Barbara County Gauge #523-Ventucopa from 1990-2018), so wells supply the majority of local domestic and irrigation water needs. Zone 4 has a total of about 225,000 acres divided between several unconnected areas. 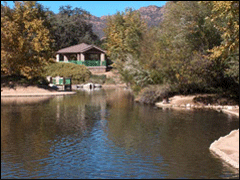 The southeast area includes 61,000 acres of the coastal drainages of the Malibu area, including Malibu Canyon, Lake Sherwood, Potrero Creek, and Westlake. 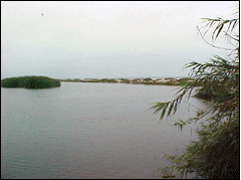 From the time the Watershed Protection District became steward of the county's watersheds, it was recognized that the areas near our coastline, draining to Pacific Ocean, should be considered for their unique characteristics in watershed planning.